Last week, we zoomed in on the mass payments segment and covered the acquisition by PayPal of Hyperwallet. PayPal spent less than 0.5% of its c.$100bn market value on Hyperwallet leading us to take a closer look at PayPal to unravel the rest of it’s cross-border product presence. PayPal does over $80bn of FX per year, accounting for over 20% of its total payments volume. Did you realise it was that much? This figure alone makes it one of the sector’s largest players. Since PayPal was spun out of eBay in July 2015, it has outperformed its former parent and more broadly the market. With PayPal now worth c.$100bn and eBay $36bn it is clear where the value lies (even with PayPal losing eBay’s business to Adyen earlier this year). Let’s dig into the details. 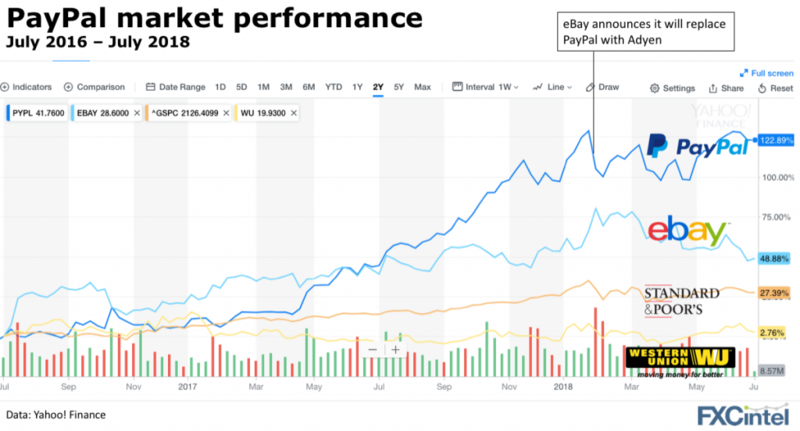 What is driving PayPal’s performance? PayPal’s primary focus is to enable the transfer of funds between consumers and merchants. PayPal then overlays on top of this a range of payment, debit and credit services for both customer groups. With well over 220 million active accounts, PayPal has a depth of data and understanding of the cross-border market that is unmatched (see how they compare to other players here). PayPal stores value (in its wallets) as opposed to just processing payments – which has long given it a critical edge for acquiring and retaining customers. 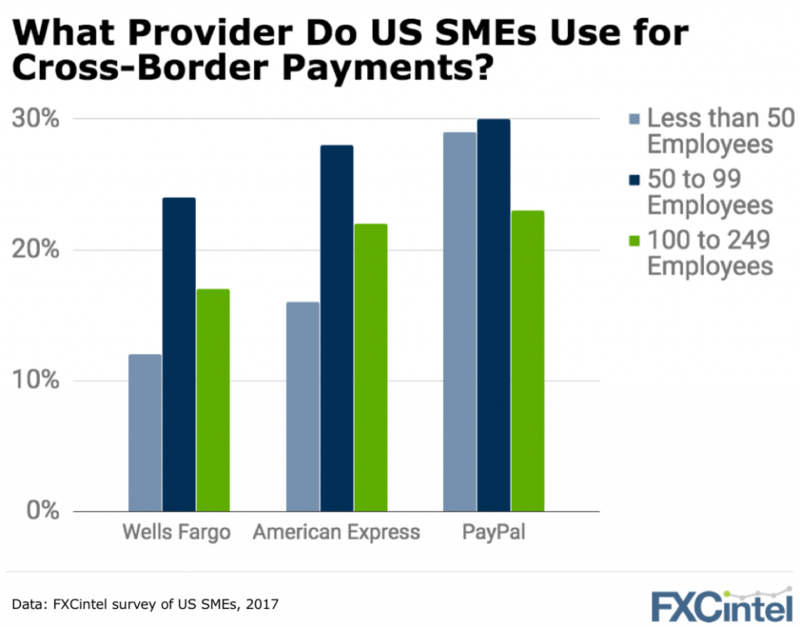 More businesses use PayPal to send money and pay invoices than many people expect (see below comparison of PayPal, Amex and Wells Fargo in the US). This gives them not only a ready customer base, but granular data on the payment needs and patterns of millions of SME and corporate clients which they can use to identify and target specific products. Their recent acquisitions seem designed to exploit this potential, whether it is via mass payments (Hyperwallet), point of sales systems (iZettle), RegTech (Simility), or even retail AI (Jetlore). In this regard, PayPal’s goal of owning every side of the transaction is perhaps similar in scale and ambition only to Chinese giant AliPay. PayPal’s brand awareness is similar to major banks. It has a share of wallet in many, many businesses and this will only increase as they expand their credit and early payment product sets. And while the company’s international focus is currently centered around the UK, Europe, Australia, and Canada we expect further expansion to follow. If you don’t have a strategy to compete against PayPal, then you may be asking the wrong questions. This giant will continue to grow.